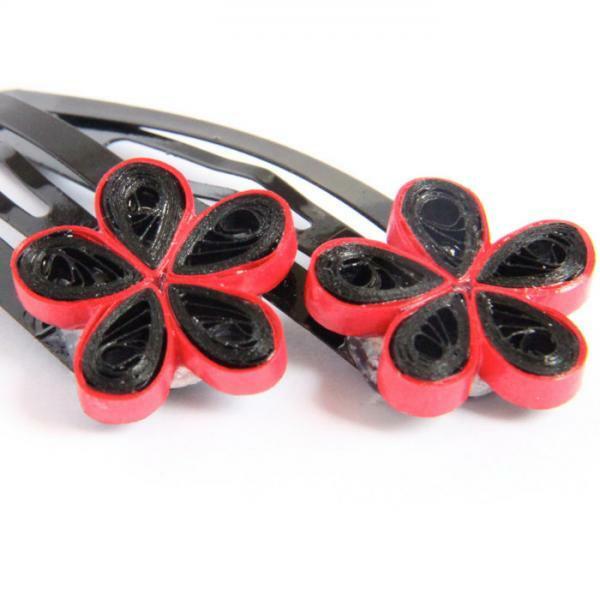 These bold and beautiful black and red daisies are eco friendly and handcrafted by the art of paper quilling. 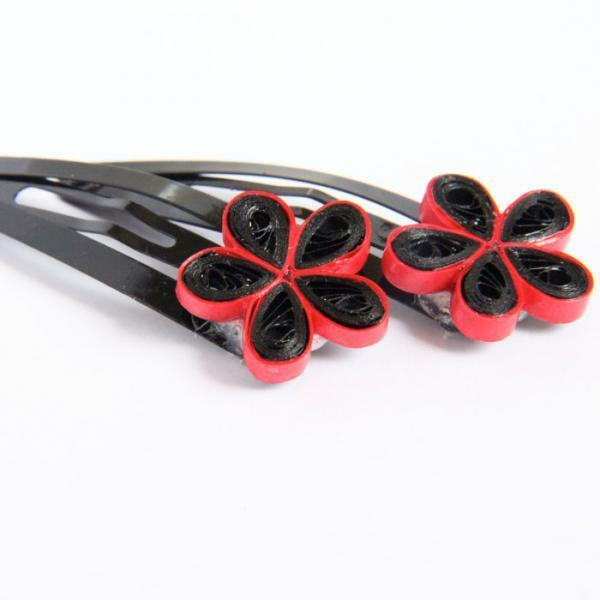 Fun and cheerful, these snap hairclips are a perfect addition to any girl's outfit! 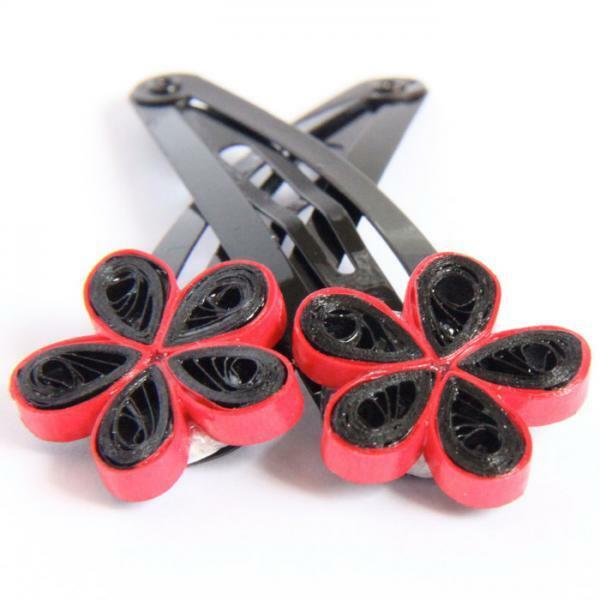 If you'd like more than one pair of hairclips or a different design on a hairclip let me know and I'll create a special listing for you! 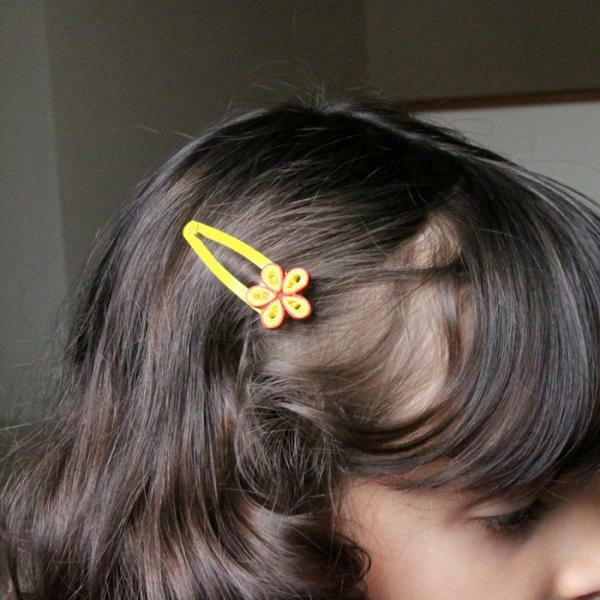 As with all my jewelry, these hairclips come tucked safely in a cute gift box. If you order multiple items, I may pack in fewer boxes than there are items, unless you request otherwise. 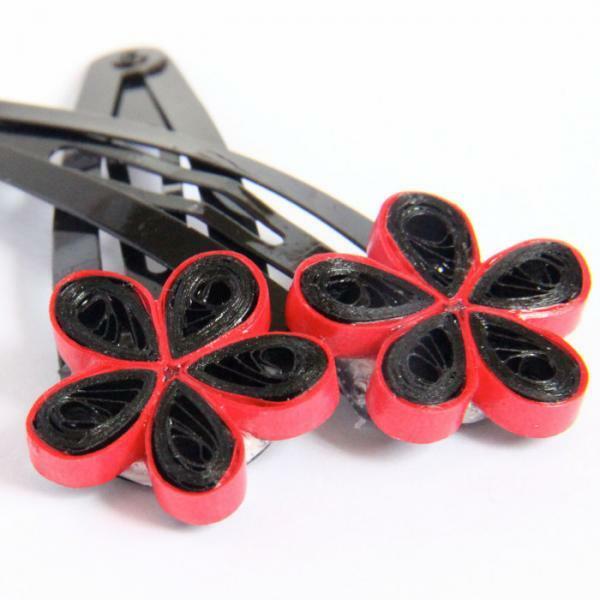 These clips are 2" (5cm) long and have a special pad on the end for gluing, so they are glued on very securely.